Have you ever met someone who is good at quoting lines from movies? The lines seem to roll off their tongue so easily. It is because they have immersed themselves in the movie, practicing the lines repeatedly until they could say them fluently. That is how I want to be when I speak to others about the Lord. However, I tend to get tongue-tied and stumble over my words. I struggle with what to say, and how to say it tactfully so that I don’t come across as judgmental, or holier-than-thou in my attitude. Colossians 4:5 tells us to walk in wisdom toward outsiders and make the most of our time. My manager often uses the phrase, “Maximum impact with minimal effort.” That is another way to view this verse. 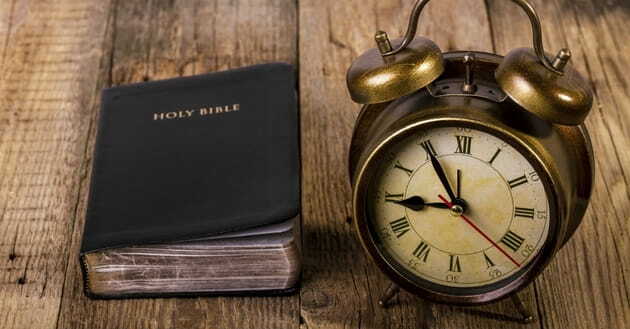 I have learned that the best way for me to walk in wisdom, making the best use of my time is to daily get into God’s Word, and spend time in prayer. I notice a huge difference in how I respond and react to people. I have a better sense of God’s heart, able to offer love and compassion, which may not come so easily through my own efforts. I also have better discernment for how and what to say to those I encounter. There is a phrase, “You are what you eat.” When I eat junk food, I feel awful and tired. When I make healthier choices, I feel more vibrant and balanced. It is the same with what we allow into our minds. If we are ‘feeding’ our minds worldly things, worldly things will be coming out of mouths because what enters our minds also goes to our heart. Out of the abundance of our heart, our mouth will speak. (Luke 6:45) When I have been diligent to be in the Word, ‘eating’ Living Bread, bible verses will come quickly to my mind to help shine His light on situations. I walk away from the conversation feeling much more invigorated and refreshed because I know I have just poured life-giving words into someone else’s life! Eating the Living Bread of the Word will help you walk in wisdom, making the most of your time! Texting seems to be all the rage these days. So much so, that there is now a thumb disorder recognized as being caused by excessive texting. 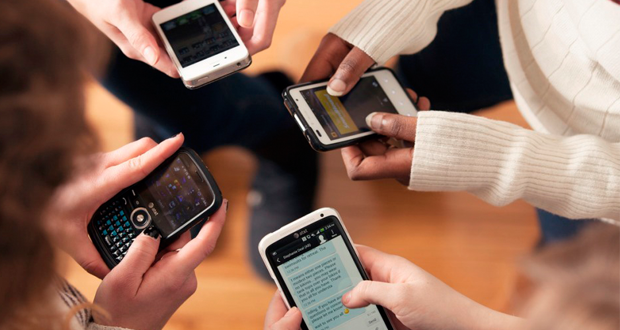 There are even concerns that excessive texting could be a sign of mental illness. I have seen many who appear to be compulsive texters. I have seen videos of people walking and texting, then falling into a pond, walking into a wall, etc. I have to admit – I just don’t get it. However, that might be because I didn’t even get a cell phone until I was 54 years old. Yes, I really was that old before I got one, and the only reason I did at that point was because I got a promotion which required me to be on call after hours. I’ve just never desired to have a cell. Perhaps it is because I am switchboard operator, answering phones for 8-12 hours a day! It never ceases to amaze me how quickly people will grab their cells when they hear that familiar ‘ding,’ notifying them that someone just texted them. However, there is a much better text to read than our cells! It is God’s Word. Hebrews 4:12 tells us that His Word is living and powerful. It’s sharper than a two-edged sword, having the power to pierce our soul and spirit. It can even discern our thoughts and the intents of our hearts. While I have had some nice sentiments sent to me through texts, none of them are alive like God’s Word. None of them have the power to change my life! Now that is a powerful text! Some of you may think, “I don’t want to read something which pierces my soul and spirit.” I want to be happy! Having allowed God’s Word to pierce me many times, I can testify that I have never regretted those moments. While they may have hurt at the time, they were for my betterment. Jeremiah 29:11 tells us that God doesn’t want to harm us, but to give us a hope and a future. He truly does have our best interest at heart. Perhaps you are thinking, “I don’t want God searching the thought and intents of my heart!” Several weeks ago, I bought a new bible and started the process of transferring notes from the old bible to the new one. One evening as I sat down to work on that project, I wasn’t very far into it when the conviction of the Lord came upon me for something I was watching on television. My first thought was, “Ah man! I really like that show!” However, I knew I needed to give it up, and I can honestly say I do not regret having obeyed the Lord in this area. The fellowship has grown sweeter, my spirit has grown softer toward the things of the Lord, and I cannot wait to read His Word every day, just waiting to see what He wants to show me. There are such treasures in the Word. It never ceases to amaze me how I can find new insights when I make the time to read His Word. So I challenge you to get into life-giving text: Your Bible! I promise – you won’t regret it! I remember a video of music I used to play for my daughter when she was a toddler. One of them had the song, “Oh Be Careful Little Eyes.” It was such a simple little song, but it had such powerful truth to it! And that truth isn’t just for young children; it is for all of us! I know that if I find myself ‘vegging’ on Netflix, my spirit will dry out very quickly. If I’m watching the news for very long, I become anxious and stressed out. There are times when I notice the effects of it on my sleep because I start having nightmares. I have also noticed that if I spend too much time on social media, I begin to feel irritated, angry, and emotionally drained. I have learned through the years to be very cautious in what I allow my eyes to see and my ears to hear. The difference is amazing! When I take a more positive approach by spending free time reading the Word or listening to praise music while going about my daily tasks, I feel joy and peace, which energizes me. I don’t know too many people who enjoy sitting in the waiting room, yet at some point, we will be required to bide our time there. God has His own waiting room for us. In Ecclesiastes 3:1-8, we find that there are seasons to our lives. One of those seasons can be God’s waiting room. For those of us who feel useless, or struggle with a lack of self-worth if we aren’t doing something which we feel is productive, it can be torture to endure. Let’s take a visit to some of God’s waiting rooms. First, there is a time to be born. Perhaps God has shown you a ministry He wants to give you. Before He births it, He has to conceive it in your heart, and then you must go through the ‘pregnancy’ stage where it grows deeply in your spirit. Finally, you get to experience the birth pangs and ministry is born. Sometimes God calls us to the waiting room to die. Sometimes dying to our flesh will be a very quick death, similar to one who has had a massive coronary. Other times, dying to our flesh can be a slow, arduous process, similar to one who is slowly dying of cancer. We also visit the waiting room for a time to heal. Whether we’ve been hurt physically or emotionally, sometimes God calls us to the waiting room so that we can experience complete healing. Other times we may be sent to the waiting room so that God can help us tear down strongholds that are hindering us spiritually. When we are too busy, we often are unable to see those things which hinder us, so it’s time to visit the waiting room. There is also a waiting room where we can weep and mourn. Before we can experience the true laughter and dancing, we may go through devastating times that require us to just sit in the waiting room, soaking up God’s comfort like a sponge. Eventually, we will find laughter and dancing replacing the depths of our mourning. There’s also a time to embrace and a time to refrain. We have seasons in our lives where we will be heavily involved in ministry, but sometimes God calls us to the waiting room and asks us to refrain for a while. There’s also a time to give up. If God is calling you to give up something, yet you stubbornly hold on to it, He may call you to the waiting room for some counseling. He’ll do whatever it takes to get to the root of why you refuse to give it up. There’s a time to be silent. Sometimes God calls us to the waiting room just so we will learn to be still. He wants to teach us to be quiet and listen to Him, and sometimes it’s only a visit to the waiting room where He is finally able to get our attention. There’s another waiting room that can be an intense waiting, for there is a time for war and time for peace. When we go through seasons that involve intense warfare over a situation, God may call us to His waiting room. Once the spiritual battle is won, He may quickly transfer us to the waiting room of peace so that we can take some time to be rejuvenated from the intensity of spiritual battles. While we may not enjoy the waiting room, God uses it to show us that His power is made perfect in our weakness. (II Corinthians 12:9) Jesus is the one who perfects of our faith (Hebrews 12:2), and sometimes the perfecting process requires a visit to the waiting room. One day while it was storming, I was talking on the phone to my friend, Brandie. Suddenly, I heard a loud, thunderous boom, seemingly right above our house. Brandie heard me let out a yell – not of fear, but of pain. I had been struck by lightning! The jolt of the electricity caused me to quickly drop the phone to my side. I could feel a tingling sensation down the left side of my face. Shortly after, I had a ringing in my ear and a pounding headache that lasted for several hours. Needless to say, it left quite an impression on me. I now understand that when Grandma told me to stay off the phone during a storm, it was not just an old wive’s tale. It was wise advice! Too often, I think the church takes the attitude of, “Reading the Word is just an old wive’s tale. I can do just fine without it.” We continue doing things our own way, only to feel like we have suddenly been struck by lightning. Because we failed to read the Word and seek God’s counsel, we find that we are jolted, much like when the lightning jolted me. We are shaken to the core of our being. We are left with the excruciating pain of reaping what we have sown. How much better we would have been if only we would have taken time for God and His Word! The result will be that when we face a crisis, it won’t jolt us like a bolt of lightning. Instead, we will quickly look to our Shepherd, finding comfort and direction in the rod and staff. I know in my own life, one of the important things that space invaders attack is my time with my husband. Granted, we all have times when we have a child with the stomach flu, and so the child gets top priority. But, what about those times when everyone is healthy? What space invaders keep you from getting that quiet time with your husband? There are so many obvious ones — exhaustion, bathtime, bedtime rituals, television, cleaning the house, doing laundry, repairs, too many outside activities (even good ones, like church), phone calls, working outside the home, paying bills, helping the extended family, and even our own selfishness, can all become space invaders. Space invaders love it when we are selfish. Selfishness rares its ugly head when we find ourselves wanting to read a book, rather than giving some attention to our husband. It can be seen through our desire to watch our favorite television show, neglecting our husband’s need to ‘vent’ after a grueling day at work. We can show selfishness by choosing to call a friend while he is at home. Surely we can find another time to chat! In a time when divorce is so prevalent, we need to be on guard against space invaders. They can come in very subtly, sometimes through romantic movies. We can watch these shows, filled with romance and begin to resent the lack of romance in our own marriage. This can cause emotional distance (space invaders), between us. What about romantic novels? Yes, even Christian fiction can bring a sense of dissatisfaction to us when we see the couple in the book in such romantic scenes. They can cause us to get romantic notions in our heads of what we’d like to see in our marriage. When it doesn’t happen, we allow more space invaders to enter, causing more distance between us. When we said our wedding vows, we never promised to love him only when he is romantic with us. Reality is that the romance parts fades rather quickly because we are consumed with working, taking care of the house, paying bills, then raising children. We must remember that any romance movies or books are not based on reality. They are simply a story. I’m not saying that romance will never be a part of your marriage again, but the times of romance will usually be few and far between. And, who said that it needs to be left up to our husband to bring the romance back to the marriage? You have the ability to do things to spark romance from time to time, and I’ll bet that even if your husband doesn’t comment much about it, he does appreciate it. Another very subtle tactic of space invaders is to get us to focus on another Christian man, observing how seemingly spiritual he is. The next thing we know, we are criticizing our own husband, even if the criticism goes no further than our thoughts. Often, thoughts become words, and words become actions. This is a very dangerous place, Sister! Satan delights in destroying marriages, and to destroy a Christian marriage is his ultimate pleasure. Don’t let these kinds of space invaders get a foothold in your marriage! One thing I have discovered is that the closer I walk with the Lord, and the more I fall in love with Jesus, the more I love my husband. I am able to see more clearly that serving him, pampering him, romancing him, and cherishing him is the same as doing it for my Master, honoring Him by my actions toward my husband. And one more thing — NO ONE ELSE is called to do this to my husband! It is for ME ALONE! No one else gets this pleasure, this intimacy, this thrill! Sister, go fall head over heels in love with Jesus. See what sparks come alive in your own marriage, keeping those space invaders at bay. When my daughter was a toddler, we frequently sang a song about the wise man and the foolish man. I had no idea how the truths of that song would affect me I in years to come. Part of keeping our house on the rock is to make sure that we refrain from choosing the better over the best. Sometimes I see the need to give up some very good activities so that I am able to grab hold of the best. In my quest to try and keep my house built on the rock, I frequently assess the activities in my life. I usually try to do this about every three months. Occasionally, I may need to do it on a weekly basis during excessively busy times of the year, such as the Christmas season. There are also some days when our schedule is extremely hectic. On those mornings, I will often surmise each activity, trying to place the most important ones at the top of my priority list. For instance, I was looking forward to attending a dinner with our women’s group at church. It started at 6:30. That same evening, my daughter had PE class from 5:00-6:00 P.M. Time did not allow me to do both, so I had to make a choice. While the women’s dinner would have been fun and uplifting, my daughter is higher on my priority list, so my choice was to give up attending the dinner (the better choice) so that Rachel could still attend PE (the best choice). By making this choice, I kept my house built firmly on the rock. It also made a deep impression on my daughter when she realized that I saw her activity as more important than my own. My normal routine is to attend church on Wednesday evenings. However, one Wednesday, I could tell that my husband was incredibly stressed. Since my husband is higher on my list of priorities than my church attendance, I chose to drop off Rachel at church. I came home to be with my husband while we had the opportunity to be alone for a while. Dean was very pleased to see that I viewed ministering to him as more important than church attendance. Giving him a chance to vent his frustrations of the day was very therapeutic. Again, I set aside the better choice (church attendance), in place of the best choice (ministering to my husband). Another opportunity for making a choice between building on shifting sand or the rock came when a friend discovered that her son had a cyst on the brain. I had been unable to reach her, so I left a message for her to call me the next day, even if it was during our homeschool hours. She knows that I am adamant about not being disturbed during those precious schooling hours. Hearing my message let her know that I saw her need as one of top priority. I went through a spell where I had not been able to write any devotions. I simply did not have the time. While I enjoy writing, and even feel the Lord has gifted me to write, I cannot let it take the place of my own personal time with the Lord. 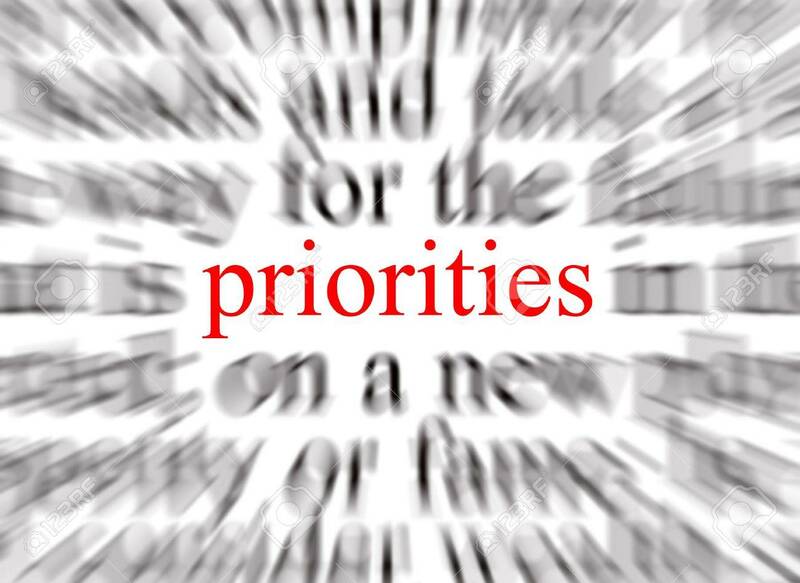 I must also be careful to not let writing take priority over my family and managing things at home. During that period of time, it would have been very easy for me to become frustrated over not having any new material to send to those on my mailing list. Instead, I focused on building on the rock. I knew that if I kept my priorities in order, daily choosing the best in place of the better, God would honor those decisions. Eventually, I sat down one evening to write. It was like a dam that burst forth. Not only was I was able to write six devotions in a very short amount of time, but I could not seem to write fast enough to get my thoughts on paper. As I have had to set aside a few of the things that I really wanted to do, in order to choose God’s best for me, I have had no regrets. 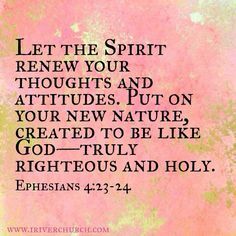 God is so faithful in pouring out His peace and granting clarity of mind to me. The sense of balance I feel in making choices that honored Him has made it easier for me to say “no” to that shifting sand so that I can say “yes” to a firm, strong, and stable rock. Are you choosing to build on the rock?